Welcome to information on this Tucker GA subdivision of Thawley Place which is located in Dekalb County GA 30084. The homes located in this community were built between 1988-1999. This subdivision is located near Henderson Park and between 285 and Lawrenceville Highway. Convenient to I-85. Builders include George Bramlett Builders Inc. Most homes are built in the traditional and stucco style with 3 to 5 bedrooms and 2.5 to 3.5 bathrooms. The list price range for a home in the community of Thawley Place, now and in the past, is between $259,900-$339,500, at time of post. The median sales price for a property in Thawley Place, at time of post as listed in the GA MLS is $281,667.00 and the (T.D.O.) total list days on market is 68. The neighborhood streets include Thawley Court and Thawley Place and located directly off of Henderson Road. Location Of Community: Take 285 to Lavista Road (exit 37) and go outside the perimeter 1.5 miles to left on Henderson Road to second left onto Thawley Place into the subdivision. Need more information on this Tucker Georgia neighborhood or more developments around North Atlanta GA, visit our local RE/MAX Real Estate website at www.NorthAtlantaHomeTeam.com. and add your criteria to find your dream home. 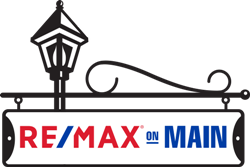 We are here at RE/MAX to help you in “HomeFinder” Search!